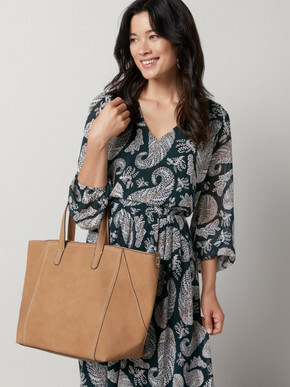 Sussan is an Australian retailer of women’s fashion and clothing with 182 stores nationwide. 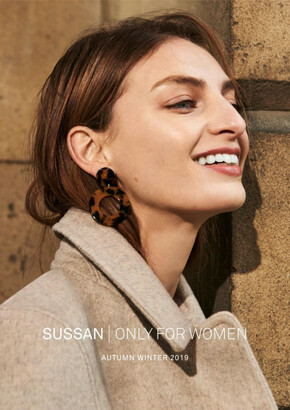 Shop Sussan online to browse weekly ads and catalogues for sensational deals on women’s knitwear, shirts, pants, jackets, maternity-wear, sleepwear, accessories and more! Looking for the perfect gift for that special someone? Look no further! Buy a Sussan’s Gift Card and give your loved one the gift of choice! Add a value of $25, $50, $75 or $100 and include a personal message! All Gift Cards are redeemable instore only. Sussan offers a range of ways for you to make big savings! Shop online and enjoy the luxury of free home delivery on all orders within Australia! Plus, there are always great promotions to take advantage of. With previous offers like $25 Gift Card giveaways whenever you spend $100, you’ll never want to shop anywhere else. Visit the Shopfully website and app for up-to-date information on store locations, opening times, and to browse the latest flyer.